Earlier today, Lant Pritchett, Michael Woolcock, and Frauke de Weijer were on a panel for the Fragility and Aid: What Works? 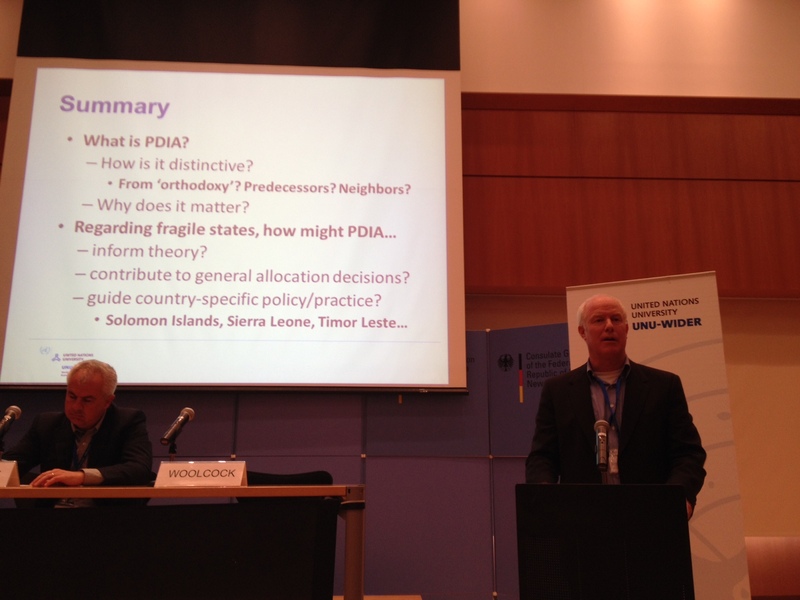 event held by the UNU-WIDER at the Permanent Mission of Germany to the UN. They discussed how even well-meaning attempts to “build capacity” could serve as techniques of persistent failure because of isomorphic mimicry (emphasis on form over function) which allows for continued dysfunction, and premature load bearing (too much too soon) which builds mistrust and cynicism whereby the donor decides on what needs to be done, but the country gets blamed for the failure, setting off a vicious cycle of bad institutions. They also discussed how PDIA might be used in fragile states.